Short Sweet Synopsis: 15 year old Ben moves to a small town in Colorado quickly discovering that atheists are not tolerated by the conservative community. Will he be able to find a way to fit into a high school filled with students with such strong religious beliefs? 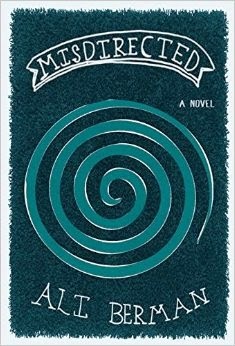 Misdirected was a fast paced and enjoyable read. As someone from Massachusetts who was not raised in a religious household, I could relate to Ben. Although I grew up in a small conservative town so people did tease me because of it, but no where near what Ben faces in the book. I liked that the characters weren't static, they were human beings that would make mistakes and many tried to grow from them. I was a bit worried that the book was headed in an anti religious direction at the beginning, but by the end it felt completely different. I was really impressed with how Misdirected handled the issue of religion in our country; it is a polarizing subject that can't be ignored. This book could help facilitate some wonderful discussions on the topic. I really liked how the book ended. It was hopeful without having that afternoon TV special feeling. I just realized that some of what I just said might have made the book sound boring, but it isn't! Even if you don't want to read about religious differences, there are plenty of classic teen moments! Ben has his first kiss, people are sneaking out of their houses, there is bullying, first day at a new school jitters and family drama; Misdirected even has magic! I will say that the magic tricks were probably what I liked least out of this book, but at least it made Ben unique. I appreciated his passion for it in the end. Bottom line, interesting book with great characters that tackles a timely topic without slowing down the plot. I definitely recommend it. Short Sweet Synopsis: Ceony has worked hard to be first in her class at the Tagis Praff School for the Magically Inclined to fulfill her dream of choosing metal as the medium for her magic; however, her dreams are crushed when the school assigns her to work with paper. Little does she know that there is more to paper magic than she even thought possible. When a magician practicing dark magic enters the picture, Ceony must use all the magic she has learned in order to save the life of her teacher. "The Paper Magician" was a nice change from the books I have been reading. You may think that the idea of a paper magician is lame, but Charlie N. Holmberg makes it incredible. Like the idea of a magician who can work wonders with paper, there were aspects of "The Paper Magician" that I loved, but there were some issues with the execution of the plot that got in the way of the flow of the story. I'm going to start with the positives because my experience when reading "The Paper Magician" was a good one. I loved the characters in "The Paper Magician" because they all had strong personalities. Ceony and Emery had great chemistry throughout the book and I enjoyed seeing their relationship develop. I truly appreciated the way Holmberg created his magical world where there Magicians bond to a specific man-made medium. Once bonded a magician can only work with that material. Even though paper sounds like a lame material to work with, it turns out that almost anything is possible if the magician knows his craft and understand the material. My biggest problem with "The Paper Magician" was the pacing. Much of the book moved very quickly, but then the book slowed down towards the end. There was too much descriptions that didn't add to the world building or story. There was also a point where the plot started to crawl along and Ceony was going around in circles. It was getting really frustrating. I think it would have helped the pace if Emery and Ceony had more time working together at the beginning of the story and less with Ceony running in circles (sorry I'm trying not to give away cool details). Luckily the end of the book made it totally worth it! I really enjoyed "The Paper Magician" because it felt very unique to other fantasy books out there. Yes it had romance and a good vs. evil plot, but these are elements I enjoy when the author does them well. 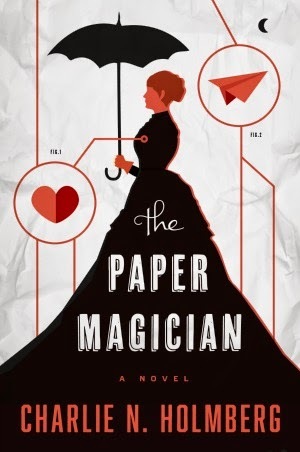 Even though poor pacing is one of my pet peeves, I still really enjoyed "The Paper Magician" and even plan on reading the second book in the series. Short Sweet Synopsis: In a world where the royals cannot reproduce, surrogates are trained to create offspring for the higher class citizens that live in The Jewel. Violet is now of age to be sold as a surrogate and quickly discovers that her training has ill prepared her for what her status really means in the society of The Jewel. I read The Jewel based on a recommendation by a friend. We both LOVED The Selection series and she thought this was a good read alike. Yes there are girls in pretty dresses and they are somewhat competing for the favor of royals; however, the feel of The Jewel is nothing like The Selection. The Selection had a pretty light tone to it, but The Jewel was heavy. While I thought The Jewel was great, I spent most of the book insanely stressed out about how Violet would become pregnant. The process of impregnating the girls, like all aspects of their lives, are kept secret. This unknown act kept me at the edge of my seat for most of the book; it felt similar to reading a horror novel and knowing that something terrible would transpire but not knowing exactly what it would be and when it would happen. It has been weeks since I finished The Jewel and it still unsettles me. I know I am making the book sound awful, but I'm of the opinion that if you are going to write a book about women being forced into becoming surrogate mothers for the wealthy it NEEDS to make you stomach churn, else the author is doing a disservice to what could have been a powerful story about women's rights. 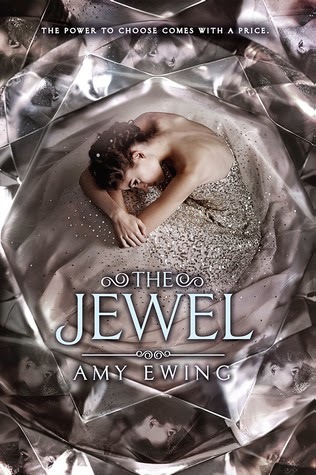 The Jewel has more than just a super creepy plot; it has dynamic characters, a steamy romance, page after page of mystery, and an amazing ending. The whole book is pretty mysterious because of Violet's limited knowledge about her life as a surrogate. She has no idea what is expected of her until she is presented with a situation. You think you have figured out a specific character in The Jewel and the next thing you know they act in a way that drops your jaw. Is anyone entirely evil or are they just reacting to their situations? You just do not know! I have to say that I'm pretty over the dystopian craze. It feels like deja vu every time I pick one up; however, I am very glad I read The Jewel because it was very different from other dystopian teen novels that have been coming out in recent years. I will confess that the beginning of the book will feel very Hunger Game-esque, but that wont last very long. You will swiftly get past that part and find yourself in a twisted world unlike one you could ever imagine. I've been told it is similar to The Handmaid's Tale, but I haven't read it so I can't verify whether or not that is accurate. Short Sweet Synopsis: Mara Dyer is trying to restart her life in Florida after being the only survivor of an accident that took the lives of her friends. Mara struggles to deal with the loss of her friends and with her inability to remember what happened. Mara wants to remember, but will remembering help her get over her PTSD or will it just make her worse? If her personal struggles aren't enough then wait until Mara meets the student body and teachers of the private school she now attends. Luckily there is a hansom, charming British bloke who will try to charm the literal pants off her. Sorry, that synopsis was rather long and was probably more confusing than sweet, but there is just a ton going on in this book! I have mixed feeling for The Unbecoming of Mara Dyer to the point where I struggled with giving it a star rating. 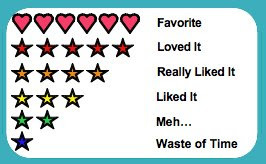 I spent hours debating on a rating, this usually takes me 5 seconds to decide! If I could give it a 3.5 I would, but I decided to give the book a 4 because I did really enjoy reading it, even if I rolled my eyes sometimes. I know I really like a book if I stay up way too late reading, do chores around the apartment willingly so that I can listen to the audio book, and/or spend my whole day off reading it. I did all these things while reading/listening to The Unbecoming of Mara Dyer. If I could have physically stayed awake to read the book in one sitting I would have. At the same time, I found myself frustrated at the characters of the book. Mara spent ample time making some awful decisions and often found herself being "saved" by our rich, hansom, charming, brilliant leading man, Noah. This may sound familiar if you've read a certain bestseller featuring sparkling vampires, or any popular YA paranormal book that features a bad boy with a heart of gold. Noah is even classified as a heartbreaker and at one point in the book ORDERS for Mara at a restaurant, YUCK! This should make me automatically hate his, but Michelle Hodkin was able to make Noah so unbelievably charming that he won my heart. Seriously, I really tried to dislike him, but he had such a great sense of humor I couldn't do it. Even Mara sometimes made me want to punch her in the face, but she was so spunky and had been through so much trauma that I couldn't help but root for her. I could spend all day complaining about he Unbecoming of Mara Dyer (like what happened to Mara's only friend, Jamie?!?! He seriously disappeared about 2/3 of the way through the book! I know there was a reason, but I felt cheated by his lack of presence! ), but in the end I enjoyed the book so much I am planning on reading the sequel. 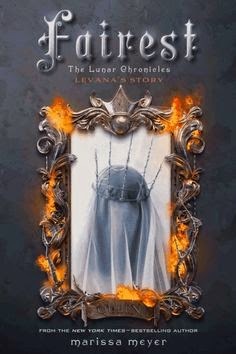 I enjoyed reading the book, even with it's issues, and want to know what happens! The ending of the book was on a major cliffhanger and I NEED to know more. To wrap things up, I REALLY enjoyed The Unbecoming of Mara Dyer. I enjoyed the overall story, even if there were same major issues with it's development. I am a bit horrified that the cornylicious romance didn't spoil the book for me, but Michelle Hodkin was able to make it work. When all is said and done, The Unbecoming of Mara Dyer is not a great literary work, but it is definitely a book that had me hooked from start to finish. I thought the audio book was well done, but I wonder if hearing Noah's lines with an accent is what did me in. I am a sucker for a British accent. Short Sweet Synopsis: The twins are getting married!!! The traditions test the patience of Laila and Leily causing plenty of drama for their mother and their grooms. A Bride's Story has continued to captivate me since I first started the series. Anyone can appreciate the beauty of the artwork; I just love showing any volume to people who aren't big fans of manga, they are always blown away by the detail Kaoru Mori put into each page. The artwork was enough for me to fall for this series, but I appreciate the detail to the story just as much. 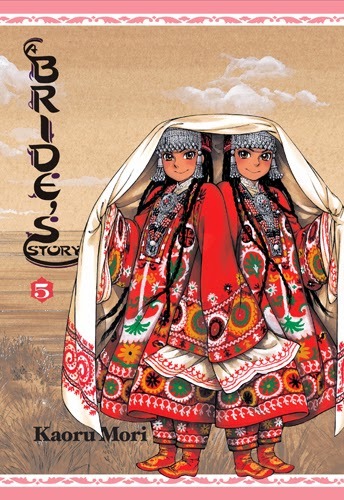 In Volume 5 of A Bride's Story Mori continues with the story of the twins', Laila and Leily; it is now their wedding day! The twins are such great characters because they do such shocking things. They aren't worried about what other people think of them, they are just true to themselves. Sami and Sarm must try to help the girls through the long wedding traditions without getting caught when they break these customs. One of my favorite aspects of each volume of A Bride's Story is how we see the relationships develop with all of the couples. I love seeing how Laila an Leily interact with Sami and Sarm. Sami and Sarm are pretty reserved so seeing how they handle the rambunctious girls makes me smile. Another aspect of A Bride's Story is how the reader gets to learn about more of the culture of each village throughout the series. You don't feel overwhelmed with information because of the way Mori adds it in here and there. She also blends the information in smoothly with the storyline, sometimes in surprisingly comical ways, making it feel like part of the story instead of being lectured. At the end of Volume 5 we do get to see a little more of Amir and Karluk. They are my favorite couple because I am fascinated by how they handle their age difference. I truly appreciate how Mori handles their relationship throughout the series. When I first started the series I worried that it would be creepy, but Mori made them into such a sweet couple you stop worrying about the age difference. Short Sweet Synopsis: Twelve holiday love stories by twelve spectacular young adult authors. 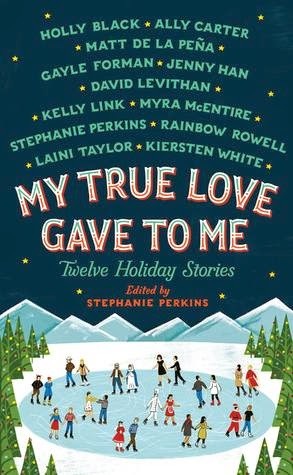 My True Love Gave to Me is filled with enchanting holiday stories that I couldn't put down. It is a mix of genres, so if you aren't a fan of fantasy or paranormal then you probably will not like all the stories; same goes if you don't like realistic fiction. 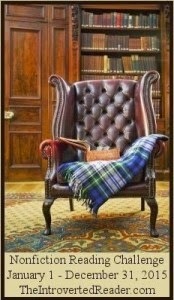 Luckily for me I'm an eclectic reader and My True Love Gave to Me featured many of my favorite authors. As the title indicates, these are all love stories; if you aren't looking for cozy holiday romance stories then this is not the book for you. Not all of the stories are light, some of them are pretty dark featuring some big issues, but all of the stories leave you with that warm holiday feeling. Yes, that sounds like complete Cheez Whiz, but it is the best way I know how to describe how I felt after reading My True Love Gave to Me. I started My True Love Gave to Me because I wanted more Rainbow Rowell, she is my new favorite author, and kept reading because each story hooked me immediately. That is what blew me away most about this collection, I have a hard time picking a favorite story. Instead of there being only a few standout stories, every mini world felt special. I fell in love with all of them and was sad to move on so soon. My True Love Gave to Me is a must listen for audiobook fans as it is performed by some of my favorite narrators. The audiobook had a particularly special meaning for me because reading holiday stories out loud used to be a family tradition. My True Love Gave to Me was one of my favorite books I read in 2014. I was going to post a different review today, but I wanted to make sure I shared this book that is so special to me. I loved this book so much that I purchased it for my permanent collection. I can't wait to read My True Love Game to Me again next year! I am going to admit to you all something shocking so prepare yourself. I might have a problem with purchasing books then never reading them. I know, it is TERRIBLE! I just can't help buying books that are in need of a good home! It gets worse; instead of reading these beautiful books, I pick up books at the library and read those instead. The pressure of a due date is just too much! THE GUILT! Okay, I'm done with the dramatics. My one concern is that I usually hate when I have to finish a book for any reason. Yes, I know it is very childish of me. I'm hoping if I just allow myself to put down the books if they aren't working for me that I'll eventually be in the mood to read all of them. We will see! Short Sweet Synopsis: Glory is graduating from high school, but unlike her classmates, she has no plans for her future. While hanging out with Ellie, her best friend, they decide to drink a petrified bat (no joke) and they both develop the power to see a persons past, present, and future just by looking them. I'm sure some of you are rolling your eyes, but A.S. King makes this crazy plot work! Yes, Glory's psychic ability that shows a future less than ideal is a bit of a stretch, but Glory faces plenty of real life issues. Some of her problems are complex, like worrying that she might have the same flaw that lead to her mother's suicide, Glory also faces more mundane teen problems, such as questioning her friendship with Ellie. As the friends have gotten older, Glory feels like Ellie is too self-absorbed and that their interests no longer align. If you think these are the only struggles Glory faces, you are mistaken. She is trying to piece her remaining family back together, because things have just been in a weird limbo since her mother's death. If that wasn't enough, Glory is creating the History of the Future to figure out how to avoid the terrible future her new ability has unveiled. I like that Glory is a quirky character. She isn't super popular and doesn't have a lot of friends, but she isn't a social outcast. She follows her own lead and enjoys viewing the world through her camera's lens than through other's perspectives. This may sound lonely, but Glory is a bit of an introvert and likes to take her time deciphering the world around her. Maybe this all sounds a bit complicated and bizarre, but that is what makes the book so exciting! It is unlike anything I have read before and I fully appreciate A.S. King's willingness to take risks on writing a completely out there story. 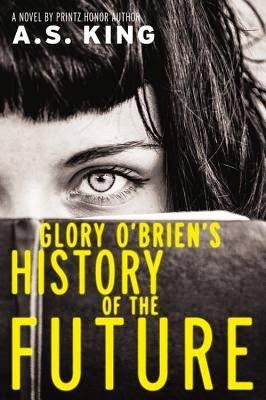 If you are looking for a book unlike anything you've read before then Glory O'Brien's History of the Future is a book for you. 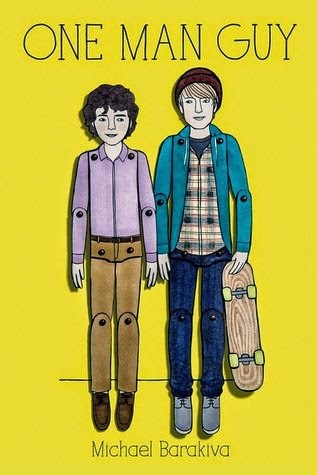 I would recommend it to fans of Going Bovine by Libba Bray and Every Day by David Levithan. 2014 was both wonderful and difficult for me. I got married at the end of 2013 to a wonderful guy and we had an amazing year together. I have definitely grown as a person, but I feel like I have lost something important to me in the last year or two. I have gotten away from this book blog, but not for lack or reading. I'm still passionate about reading and Young Adult is still my favorite book genre. I have missed blogging about the great books I have discovered and I feel like I have been missing out on so much in the YA book community because of my failure to blog. 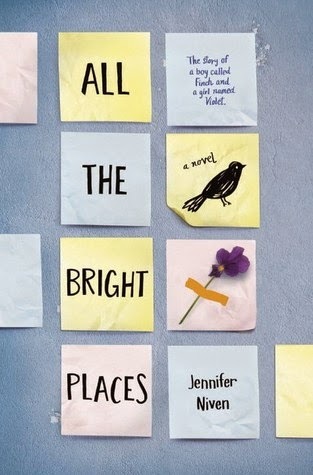 In 2015 I want to jump back into blogging about YA books. With that said, I want to be realistic. I wont have the time to post long reviews that are paragraphs and paragraphs long, but I will write short reviews that will shine light on what I found successful, or maybe unsuccessful, in the books I have encountered. I personally appreciate short reviews that do not give away any plot points, instead indicating why a book is worth reading. I hope that other people appreciate this minimalist way of reviewing books, but I can understand if I lose some readers who want an in-depth analysis of each book. To keep myself on track, I'm going to be signing up for some reading challenges. I haven't decided yet which ones I will be doing, but a post is in the works! I'm excited to be starting a new year and getting back to this blog I love. Happy 2015 everyone!